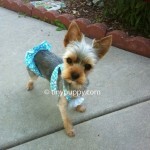 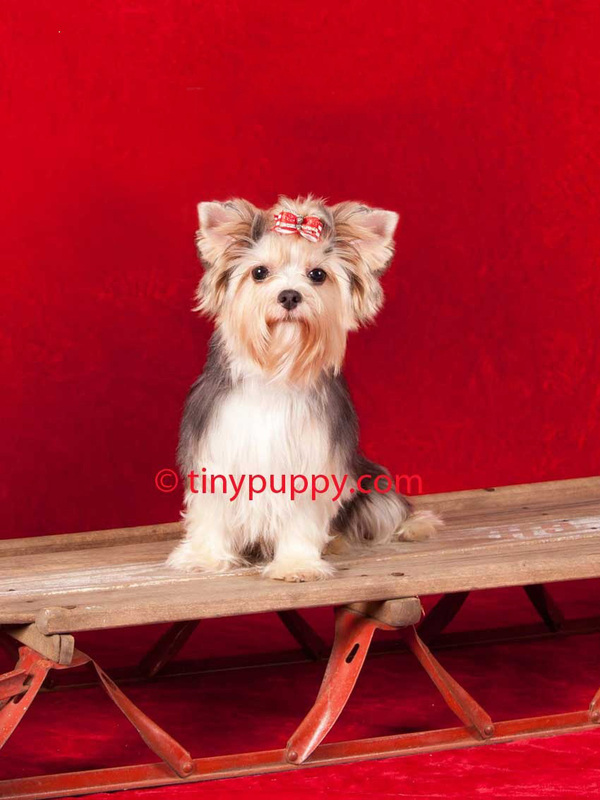 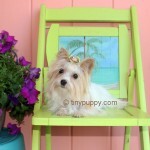 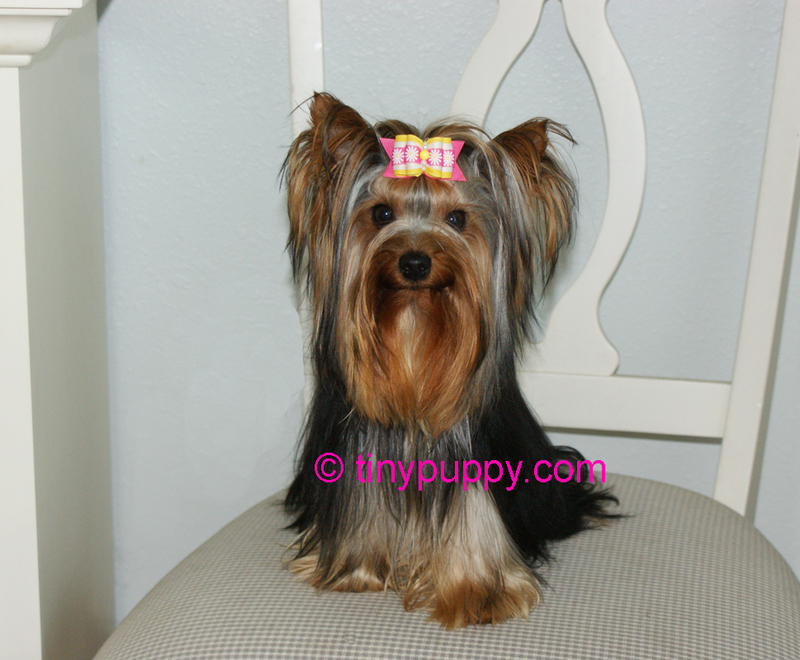 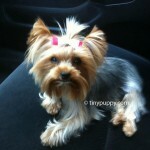 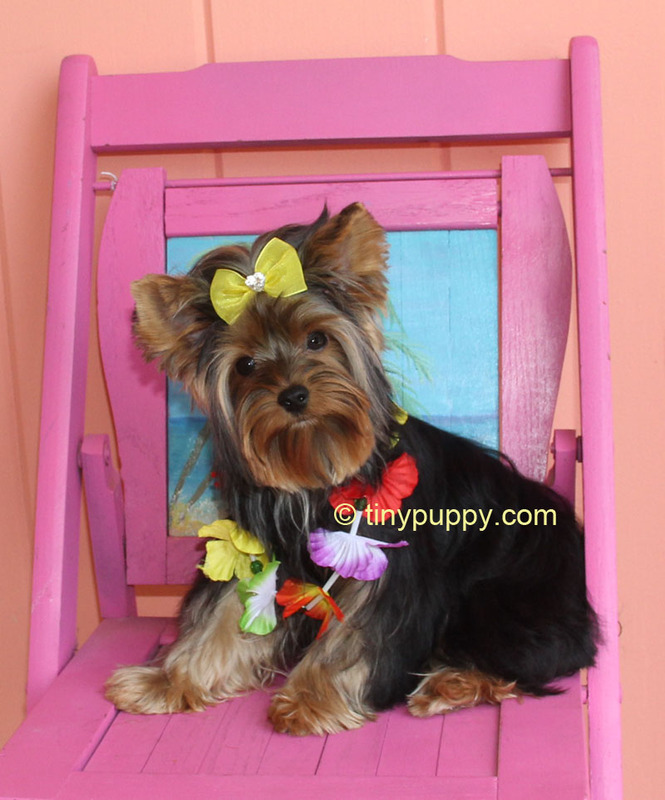 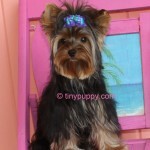 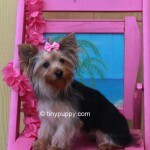 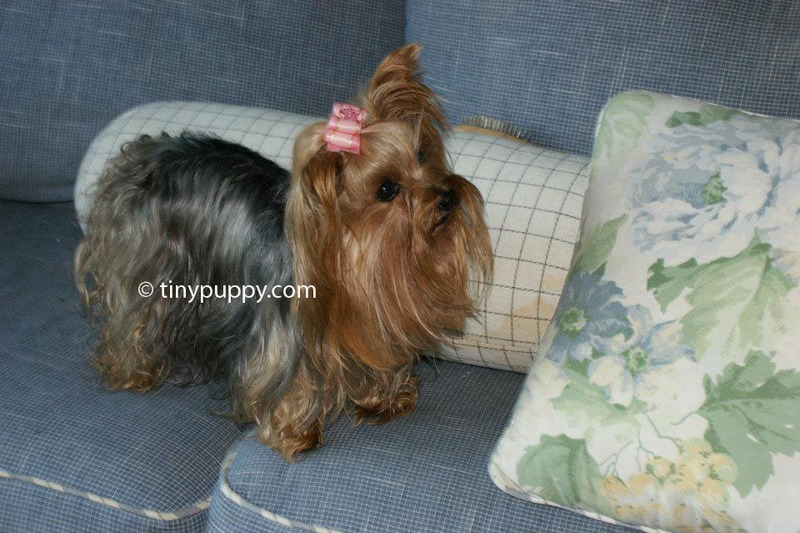 Teacup Yorkie Haircut and Hair Styles with Pictures to take to your Groomer. 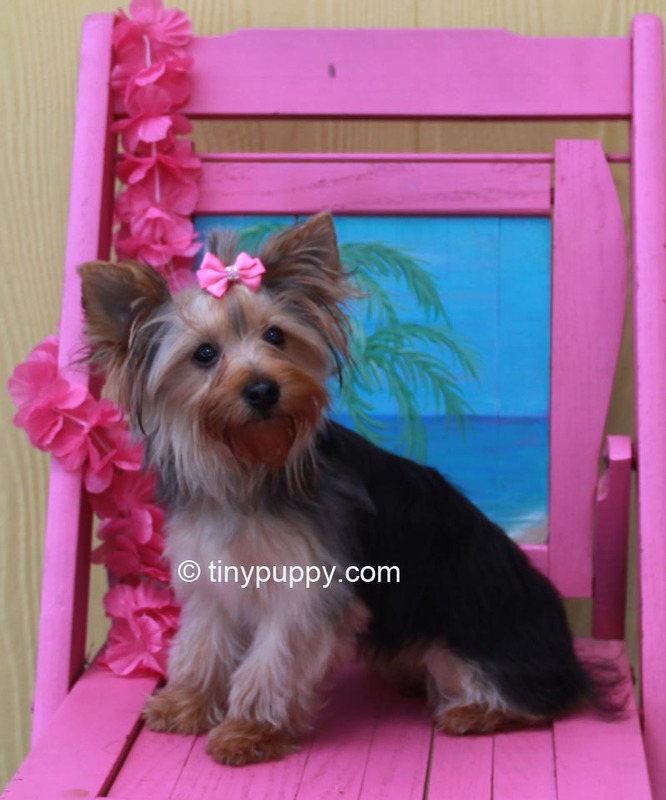 When your yorkie is old enough to go to the Groomer their are a few things that are very important to know. 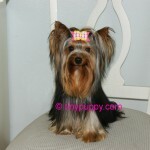 Not every groomer will understand how you want your Yorkshire Terrier to look when finished. 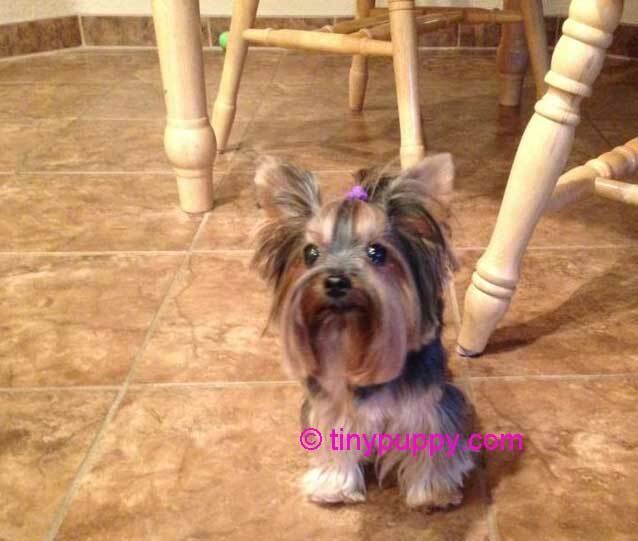 My best suggestion is to take a picture with you to the groomer of how you want your Yorkie to look when the haircut is finished. 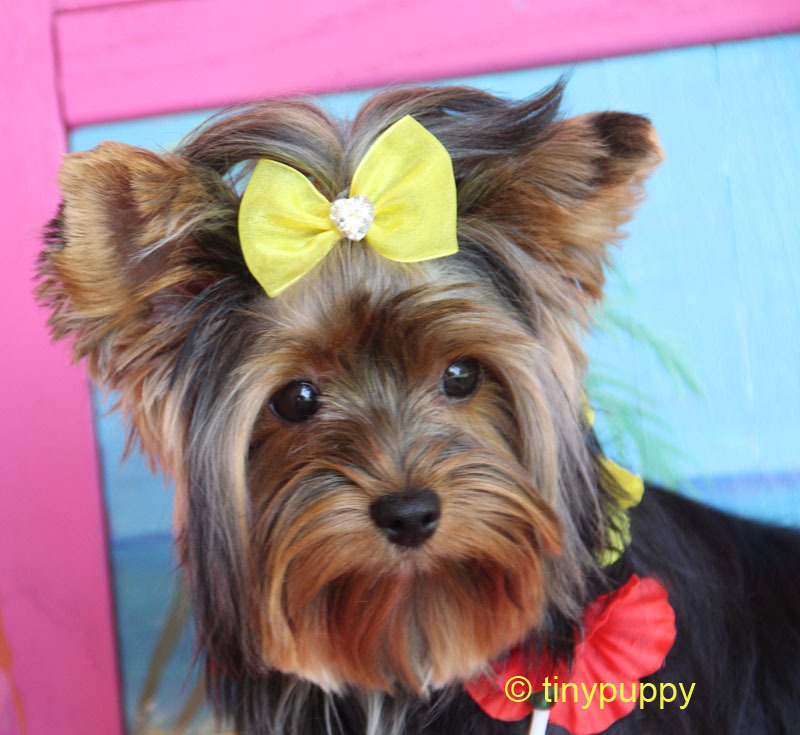 I have had numerous phone calls of unhappy people that took there Yorkie to the Groomer only to come home dissatisfied and upset. 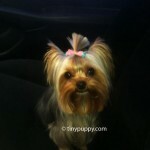 Some Groomers like to shave the dogs hair down because that is the easiest and fasted for them. 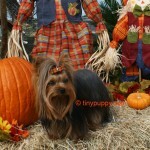 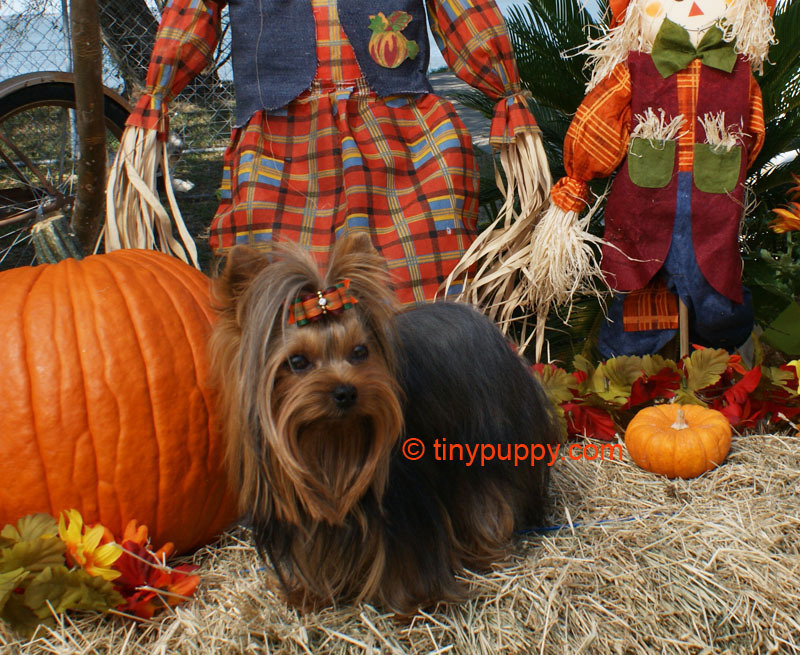 However, our beautiful Yorkies do not look good this way. 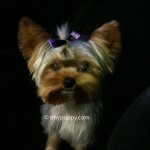 One Yorkie owner called me in tears because she went to a Grooming studio and asked them to take off 1″. 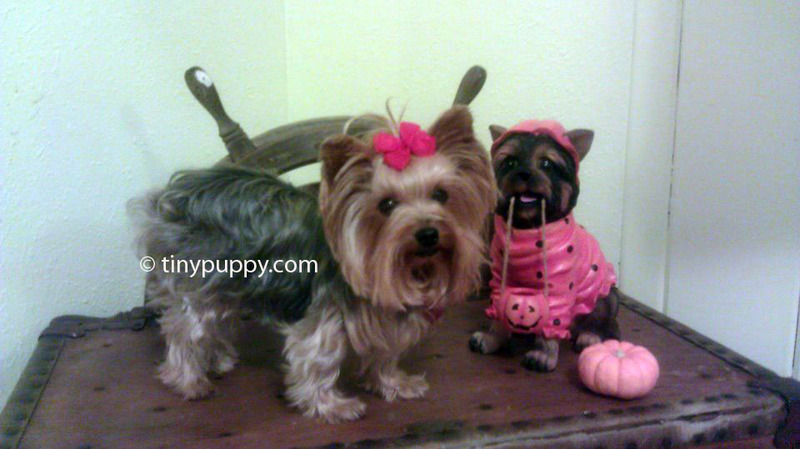 She left her Yorkie for the day. 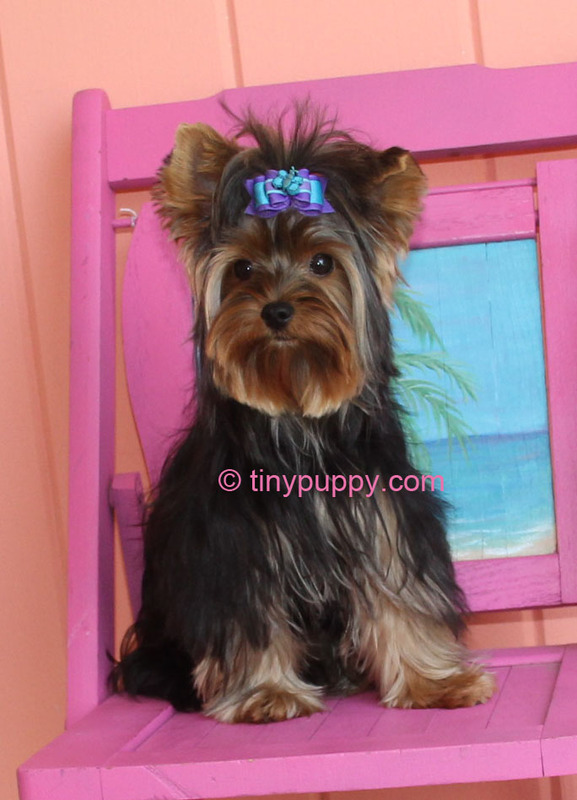 She came back and they only left 1″ of hair on her beautiful Yorkshire Terriers coat. 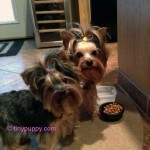 The reason, they changed groomers during the day and the new groomer read it wrong. 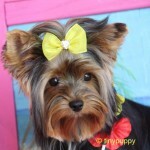 Here are some pictures of Yorkie Haircuts that you can copy and take with you. 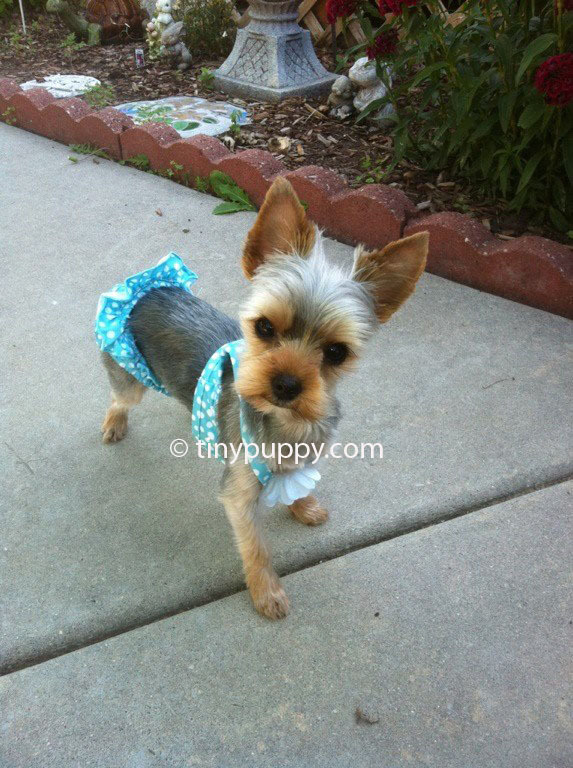 I do not mind you printing them as long as you leave the copyright on the picture. 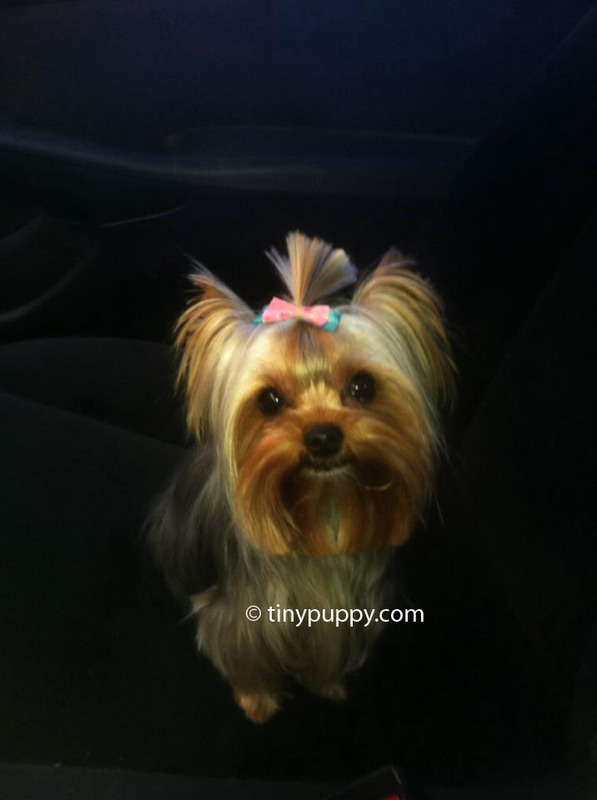 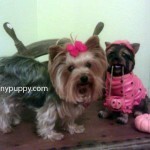 Your Yorkie’s Hair Style can change with Each Groomer. 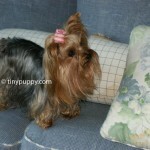 Here are pictures of Abby. Same dog different hair styles. 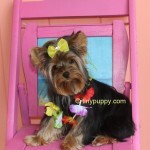 Even if you think your Groomer knows what you want, take a picture with you. 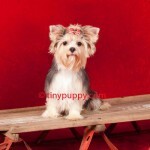 Your groomer sees lots of dogs and sometimes it is hard for them to remember the haircut you like best. 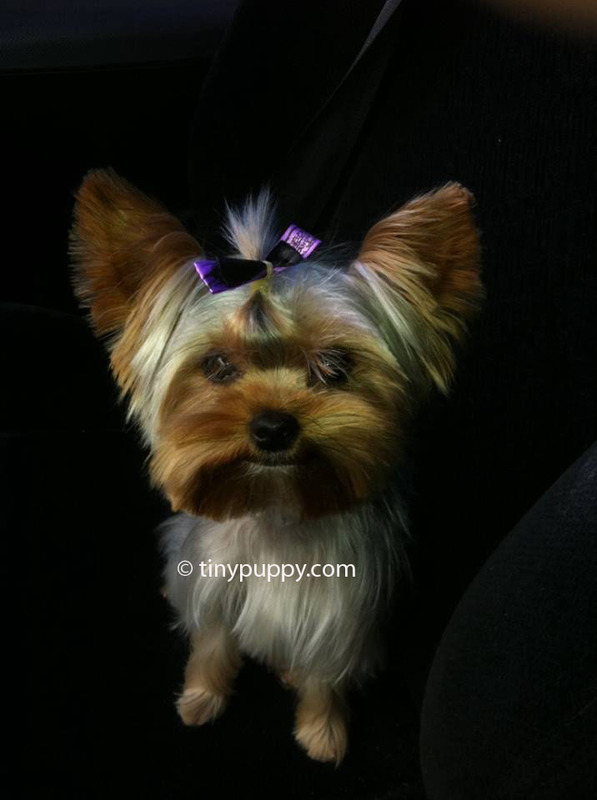 Abbies first trip to Groomer. 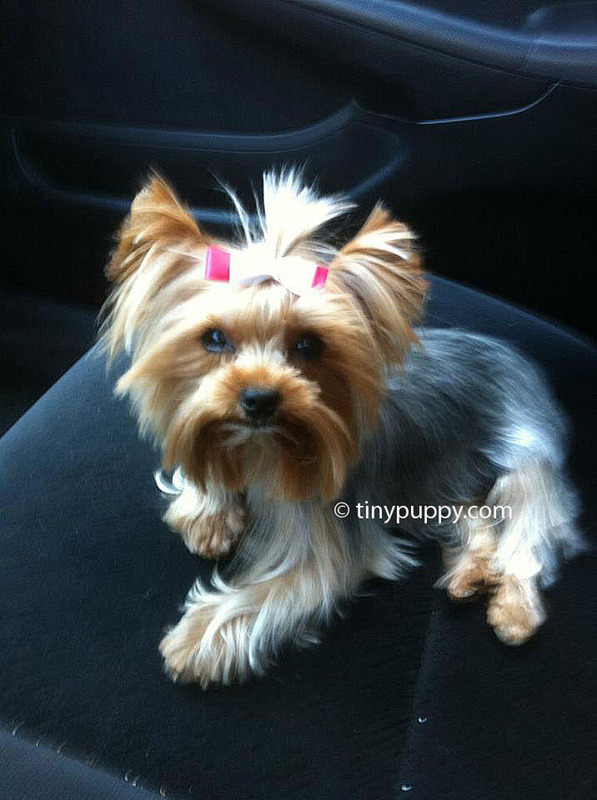 Shaved her all the way.